สภาพคล่องที่เพียงพอ: IRPC มีหนี้สินคงค้าง ณ สิ้นปี 2561 จำนวน 5.7 หมื่นล้านบาท โดยจำนวน 1.4 หมื่นล้านบาทจะครบกำหนดชำระคืนภายใน 12 เดือนซึ่งประกอบด้วย หุ้นกู้มูลค่า 3.4 พันล้านบาท เงินกู้ยืมระยะยาวที่ถึงกำหนดชำระคืนภายในหนึ่งปีจำนวน 3.7 พันล้านบาท และ เงินกู้ยืมระยะสั้นจากสถาบันการเงินจำนวน 6.7 พันล้านบาท สภาพคล่องของ IRPC ได้รับการสนับสนุนจากเงินสดที่มีอยู่จำนวน 2.3 พันล้านบาท วงเงินสินเชื่อหมุนเวียนจากสถาบันการเงินที่ยังไม่ได้เบิกใช้มูลค่า 5.2 พันล้านบาท ณ สิ้นปี 2561 วงเงินกู้ระยะสั้นที่สามารถเบิกกู้ได้จาก ปตท. จำนวน 10 พันล้านบาทรวมถึงเทอมการค้าสำหรับ การชำระค่าวัตถุดิบที่สามารถขยายได้จาก ปตท. 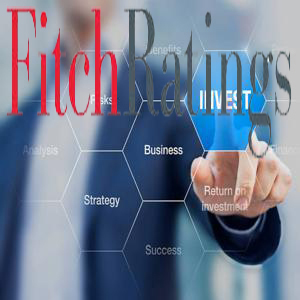 Fitch Ratings-Bangkok-12 March 2019: Fitch Ratings (Thailand) has affirmed refining and petrochemical company IRPC Public Company Limited's (IRPC) National Long-Term Rating at 'A-(tha)', its National Short-Term Rating at 'F2(tha)', and the senior unsecured national rating at 'A-(tha)'. The Outlook is Stable. The affirmation reflects IRPC's improving business profile following its upgrading projects. Fitch expects IRPC's financial leverage to increase above the level at which Fitch would consider negative rating action temporarily in 2022 due to high investment, then to fall to a level commensurate with its rating. Rising Capex; Leverage to Increase: Fitch expects IRPC's capex to increase to about THB68.0 billion in 2019-2022 from the previous expectation of THB46 billion, as the company has committed to invest in an upgrading project to meet EURO5 emission standards. Fitch also expects the company to commit to a paraxylene (PX) project following an investment review. Therefore, Fitch expects IRPC's FFO adjusted net leverage to increase to 4.5x-5.5x in 2021-2022 (2018: 3.0x), before declining from 2023 to below 4.5x as the capex levels off. Credit Terms Support Flexibility: Fitch believes the extended credit terms on IRPC's crude purchases from PTT Public Company Limited (AAA(tha)/Stable), its largest shareholder, provide financial flexibility and liquidity support to IRPC to manage its leverage. Credit terms of 60 days from PTT have been extended for another year until end-2019 before returning to normal 30-day terms. The terms will be reviewed annually and can be extended by mutual agreement, according to the company. Improving Business Profile: Fitch expects IRPC's margins and earnings to be supported by an increase in output of higher-value-added products and an expanded crude run. The start of its polypropylene expansion project and polypropylene inline compound project has increased margins, as these products have higher spreads than commodity-grade polypropylene. In addition, IRPC increased the crude run of Atmospheric Distillation Unit 2 (ADU 2) after major turnaround works in 2017. Fitch also expects the EURO5 upgrading and PX projects to enhance profitability upon their completion, scheduled in 2022-2023. Fully Integrated Refinery: IRPC has a competitive advantage as a fully integrated refining and petrochemical company with expertise and a long track record in Thailand. IRPC's recent and planned investments also pave the way for more integration into petrochemical products. Vertically integrated producers enjoy cost advantages, broader product ranges and reduced earnings volatility relative to non-integrated operators. Highly Cyclical Business: IRPC's credit profile is restrained by the inherent cyclicality of its businesses and the concentration of its production facilities at one site. The volatility of oil prices, refining margins and petrochemical spreads, as well as high working-capital requirements, could significantly affect its earnings and cash flow generation. Linkages with PTT: IRPC's National Long-Term Rating incorporate a one-notch uplift to take into account its moderate linkages with PTT. IRPC falls within PTT's central treasury management framework, while key management personnel from PTT are rotated among its group of companies (including IRPC). Furthermore, PTT has extended commercial support to IRPC, such as the extended credit periods for feedstock supplies and the inter-company borrowing and lending agreement with IRPC. IRPC's ratings reflect the integration of its refining and petrochemical operations. Its business profile is moderate relative to Thai downstream oil and gas peers, while its leverage is relatively high. IRPC has smaller operating scale than PTT Global Chemical Public Company Limited ((AA(tha)/F1+(tha)/Stable), standalone credit profile of AA-tha)) and Thai Oil Public Company Limited ((AA-(tha)/F1+(tha)/Stable), standalone credit profile of A+(tha)), and higher leverage than these two companies. IRPC's operating scale is larger than Esso (Thailand) Public Company Limited (bills of exchange rated F1(tha)) with better margin, but higher leverage. However, ESSO has stronger linkages with its parent. - Evidence of stronger ties with PTT. - A weakening of linkage with PTT. Sufficient Liquidity: IRPC had outstanding debt at end-2018 of THB57.5 billion with THB13.8 billion due to mature within 12 months, consisting of THB3.4 billion of bonds, THB3.7 billion of the current portion of long-term debt and THB6.7 billion of short-term borrowings from financial institutions. IRPC's liquidity is supported by unrestricted cash of THB2.3 billion, available committed working-capital facilities of THB5.2 billion at end-2018, a credit facility from PTT of THB10.0 billion, and the extension of the flexible credit terms from PTT.